She relies on us so much to help her understand the world so that we can reduce her anxiety. We're proud to be supporting the next generation of autism researchers. Dr Jane Waite at Aston University is one of our first Future Leaders: innovative autism researchers at the start of their careers. Dr Waite is a research scientist and clinical psychologist. Her research focuses on mental health outcomes for autistic people who also have an intellectual disability. Jane and her team at Aston University are working with parents and doctors to develop a parent-led therapy that reduces anxiety for children who cannot access standard anxiety treatments. This work builds on her pioneering clinical assessment tool for anxiety and depression in autistic children and adults who speak few or no words. There is a lack of research to support those with autism and intellectual disability who speak few or no words. Many studies that do exist overlook the crucial issue of anxiety. Anxiety can cause distress to the child and parents and can lead to further mental and physical health problems if not addressed. With others in Birmingham, Jane has developed a pioneering way to identify individuals in this vulnerable group who are experiencing significant levels of anxiety. Jane Waite and her team are working with families and doctors to develop a parent-led intervention for anxiety for autistic children who also have an intellectual disability. The intervention will include well evidenced anxiety-reduction strategies adapted for autistic individuals and behavioural strategies that have been proven to work with autistic children who speak few or no words. The study will involve 8 families followed up over 16 weeks to show any reductions in anxiety. The team will stagger the start times for each family so that they can ensure anxiety is being reduced and they can demonstrate that reduction. With evidence from this proof of concept study, they team hope to conduct a larger randomised control trial. This is important for effective interventions to be included in clinical guidelines. There are currently no evidence based approaches to help with anxiety in autistic children who also have an intellectual disability. But existing evidence-based behavioural interventions could be effective at managing anxiety related to situations or tasks that pose a challenge to the autistic child. By combining these interventions with well-understood anxiety reduction strategies, the team hope to provide a way for families to reduce the impact anxiety has on their lives. 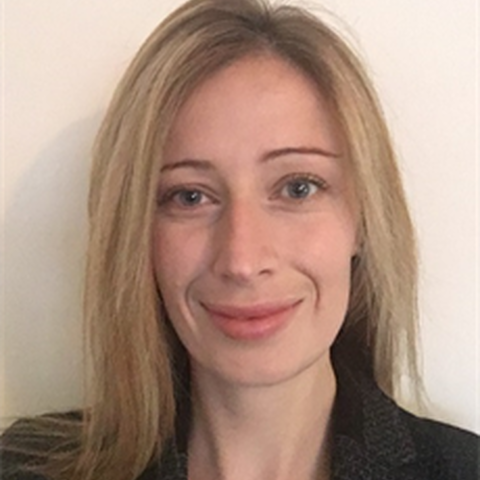 Jane is a Lecturer at Aston University with previous experience as a research fellow and clinical psychologist at the Cerebra Centre for Neurodevelopment Disorders. Her research focuses on understanding how mental health difficulties develop in autistic people, and others with neurodevelopmental disorders, who also have an intellectual disability. Her team are developing clinical assessment tools and interventions for autistic children and adults who speak few or no words. Jane is passionate about sharing research findings with families and clinicians and has developed an online resource for people with rare genetic syndromes and their families (www.findresources.co.uk).